A year ago, I began a journey along with nineteen other women. This journey was one that would consist of hard work, patience, commitment, understanding, and one that would change my life completely before I could even expect it. 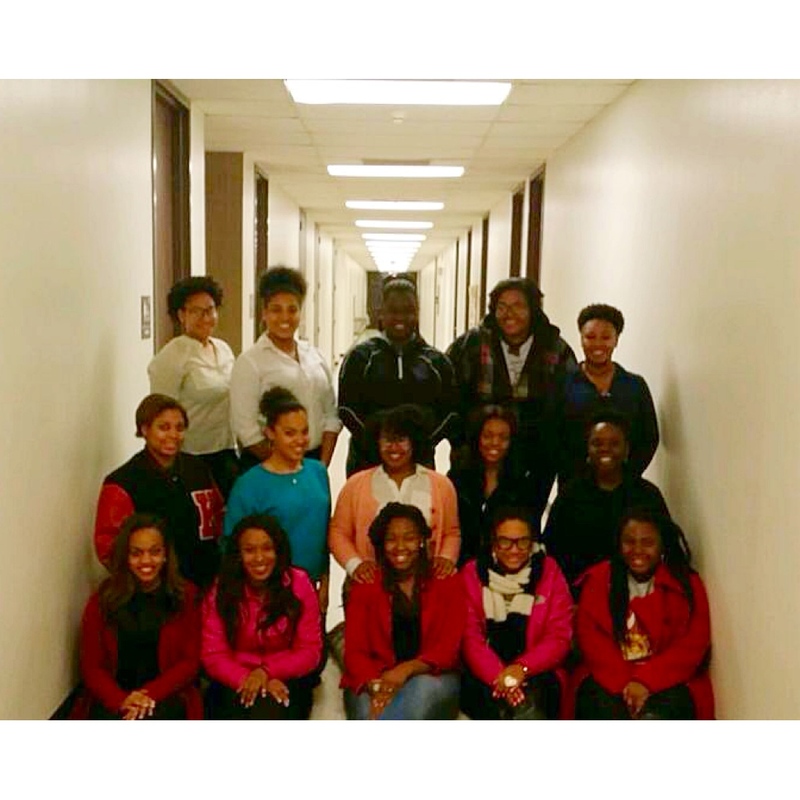 In January of 2014, I was approached by my rookie sister Bria about the idea of rechartering the Epsilon Psi chapter of Tau Beta Sigma. 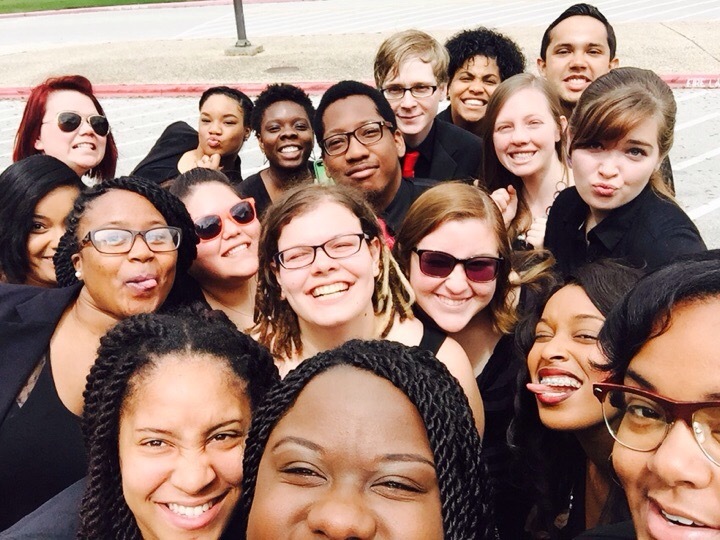 Tau Beta Sigma is a musical organization whose purpose is to serve collegiate bands and to promote their continued existence, as well as to provide worthwhile experiences for band members. The organization promotes and recognizes musical achievement and leadership among all band members, but is also dedicated to women in music. When Bria brought the idea to me, I was elated and nervous at the same time. 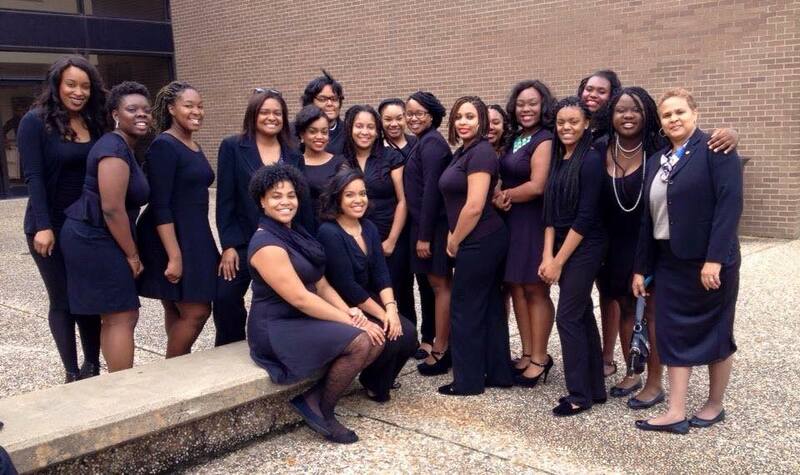 My first experience with Tau Beta Sigma was with the Epsilon Sigma Chapter at Norfolk State University. The ladies of the chapter served as mentors to us and were very important figures in my life during a year where I struggled with my self-esteem and self-confidence. I dreamed of becoming a member, because I wanted to be just like them. I wanted to be that big sister and mentor for those who would join the band after me. I wanted to experience that kind of sisterhood, one that I had never experienced through my own sisters because we had never bonded on that level throughout our lives. When I had to leave Norfolk, my dream of joining the sorority was placed on hold. A year later I transferred to PVAMU and became a member of the Marching Storm. Although there had been a chapter in existence, unfortunate circumstances led to it being closed years prior. I was disappointed in this news. I felt as if once again, I had to place the dream on hold. Over the next few months I realized many of the girls I was becoming friends with in the band also had the same dream, and also had to place it on hold. Thankfully, things were about to change, and history was about to be made. 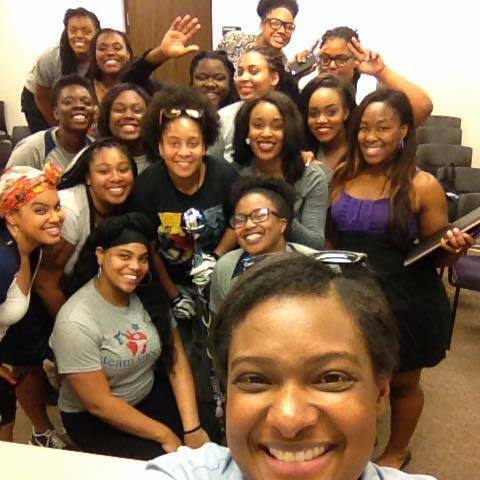 Within a year and four months of Bria first discussing rechartering with me, we came together with our soon-to-be line sisters, and so the work began. Rechartering consisted of months of work, diligence, and convincing both our university and National Headquarters that we were ready for the responsibility of a chapter, as well as capable of running it smoothly and according to protocol. My sisters and I worked diligently for months and at times things became frustrating and overwhelming. It seemed almost as if the work would never end, and at times what we thought was the light at the end of the tunnel would just end up being another delay. We officially became a colony of the organization in December 2014, and began to fulfill our requirements for colonization. In that time, what was now officially sixteen of us, began to bond and grow in a way I’d never experienced. I learned, through this recolonization, not only how to love fifteen other women but also how to love myself. Over time I began to feel a love and connection to my sisters that hadn’t always been there. A year had gone by since we all began the journey toward sisterhood. It wasn’t always easy. To be honest, there were guards I stubbornly held up to them even until a few weeks ago. Still I realized just how much of a presence they have in my life. I truly do love them. I realize just how long they will be a part of my life. These will be the women who may take part in my wedding. These will be the women I share the milestones of my life with. It is almost surreal. Our sisterhood is truly forever and one that is unlike anything. I love each of them for their own specific traits and character. Allicea for her poise and surprising personality, Brianna for her humility and grace, Kyla for her inquisitive soul, Leslie for her sentiment and passion for the organization, Cassianna for her diligence and quirkiness, Bria for her strength and drive, Alexandria for her optimism, Maya for her joy, Imani for her journey toward embracing us, Taylor for her sly smile, Zhane for her dedication to us all, Ghandi for her guidance and even for her tantrums, Chericka for being my mirror, Domonique for loving us all unconditionally, and Sa’sha for being the nurturer we all needed at different moments. They are loved. They are my sisters. On April 26, 2015 the Epsilon Psi Chapter of Tau Beta Sigma was re-chartered, and we officially became sisters of one of the greatest organizations in existence. I was also able to witness my adopted mother become an honorary member of the organization as well, not to mention I am now able to call my father my frat brother. I am elated at what my sisters and I were able to accomplish, especially within the period of time in which we did. Some colonizations take as much as two years. My sisters and I completed ours in just four short months. We worked tirelessly and diligently to make sure that the goals of our chapter were met, and now we have our beloved chapter back. It is truly an honor to be selected to serve. To the sisters of Tau Beta Sigma, I thank you for nurturing me and mentoring me so that I would be inspired to work toward becoming a sister years later. I am eager to see where it will take me, and how it will continue to change my life. To the Alpha Omicron Chapter of Tau Beta Sigma, Colony Advisor Donnelle Mitchell, Southwest District Counselor Erika Pope, and Vice President of Colonization and Membership Dr. Kathryn Kelly, thank you for being our mentors and our guiding spirits. To the brothers of the Delta Psi Chapter of Kappa Kappa Psi National Honorary Band Fraternity, thank you for welcoming us with open arms and being our brothers at all times. To my sisters, the beautiful women of Epsilon Psi, congratulations. We proved so many wrong, and have made so many more proud. 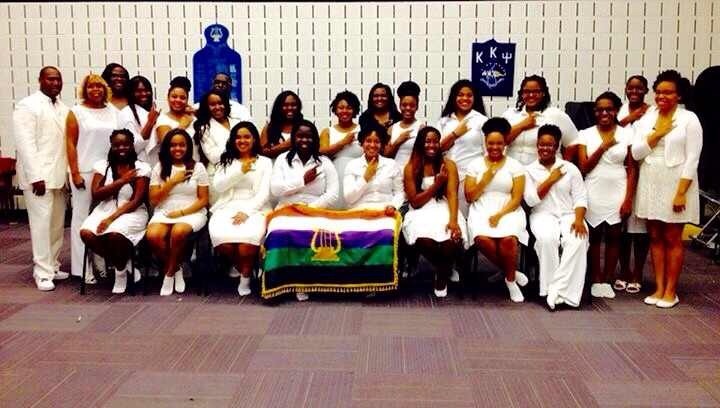 I am honored to call each of you my sisters. Previous story We March Once More, Brothers and Sisters!